A lovely Lockwood home one of the first built in the region, well set out and designed for the family. Home is comfortable and relaxing with the lake front only a hop skip and a jump away. Enjoy those long summer nights with a walk down by the lake to feed the ducks. BBQ and outdoor furniture available for those long hot nights. Stand up freezer available to store all the trout you will catch. Enjoy your stay with us! We really enjoyed staying here, it took a little bit to adjust to the traffic noise but it didn't stop us enjoying our stay. Unfortunately the beds were a bit soft for my dodgy back, but other than that it was an easy house to stay in, loved all the memorabilia. Glad you enjoyed your stay and thanks for posting a review. Great Lockwood Bach, close to the lake and coffee shop. This home is beautifull was lovely and clean very homely we were only there at night so traffic was not an issue for us, will definatly b staying here in the future when needed, Thanks Tania for opening your home to me n my family. 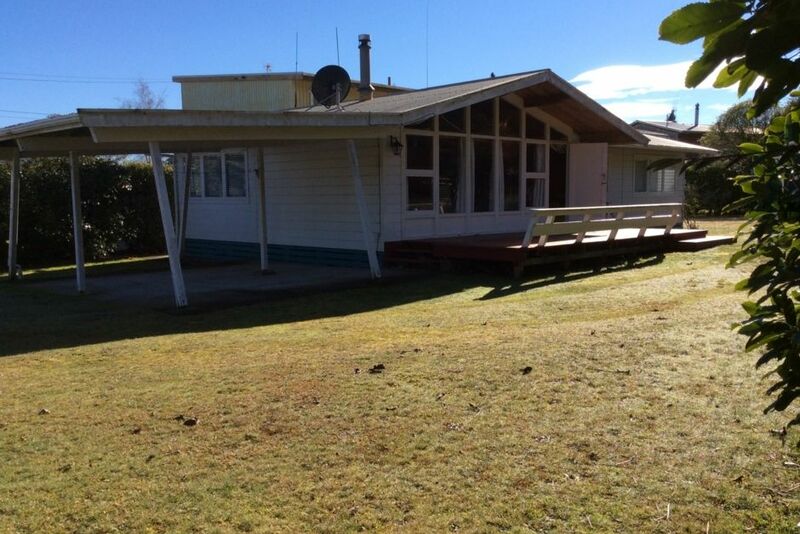 House was extremely clean and tidy, lovely spot close to lake and marina.